On average Hybrid batteries like the Toyota Prius battery for example contain 200 1.2 volt Ni-MH cells. These cells make up the 240V DC battery that hybrids use to power the electric motor. More than 90% of hybrids use Ni-MH cells as they have been used in cars for 15+ years and are cheaper than lithium ion batteries. Most hybrid batteries a located in the rear of the car under the boot area or back seat. 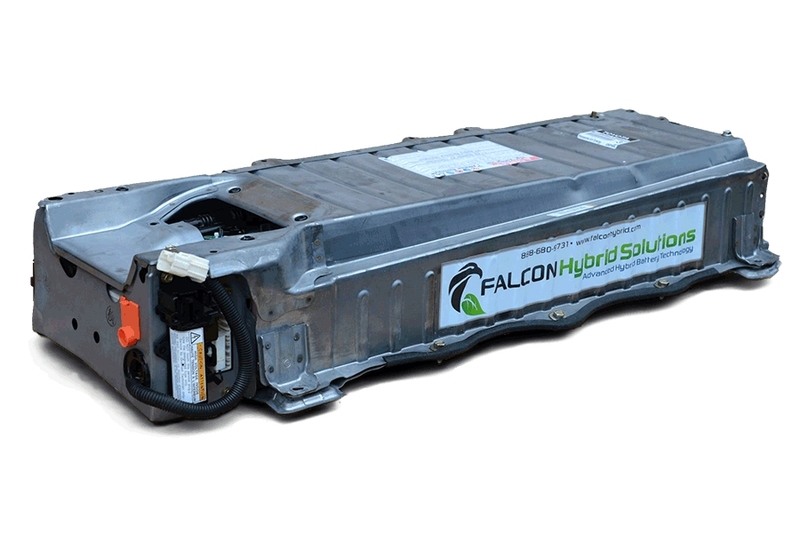 Hybrid batteries have a management system known as HVBMS for Hybrid Vehicle Battery Management System. This system is full of voltage and temperature sensors that monitor the battery cell blocks. A damaged hybrid battery is a serious issue. If only a few cells are dead it may be possible to recondition the battery by replacing only the dead cells. However once more than just a few die, it is likely that you may need a new battery. New hybrid batteries have come down in price over the years, meaning it is often more cost effective to replace the entire high voltage hybrid battery. If any issues or fault codes are found to do with the battery, you should take it to your nearest hybrid and electric car repairer as quickly as possible to prevent additional damage. – Failed Hybrid battery: If a high voltage hybrid battery becomes defective this will trigger the fault code. – Single dead cells: If a single cell dies, the High Voltage Hybrid Battery System (HVBMS) will sometimes be able to detect this and will give the fault code (or live data) as well as an indication of which cell is dead. – High Voltage Hybrid Battery System (HVBMS) sensor failures: If any of the High Voltage Hybrid Battery System (HVBMS) sensors fail, this is a serious issue and the fault code will generally be given for the failed sensor. – Abnormal cell temperatures: If any of the cells are overheating it could be very dangerous, and this fault may appear. – Worse Fuel Efficiency: You might notice a fuel consumption more similar to a normal petrol car, because of a bad high voltage battery or High Voltage Hybrid Battery System (HVBMS). This is because the high voltage hybrid battery and electric engine will either not be working at all (limp mode) or not be able to do as much as they should. – Electric motor and system deactivated: If you notice that only the petrol engine seems to be operating, it could be a sign of a damaged high voltage battery, invertor, electric motor or any major component in the hybrid system. You will need to get your car scanned and the live data read to find out the fault codes. – Worse overall performance: A damaged High Voltage Hybrid Battery System (HVBMS) is likely to result in worse overall performance. 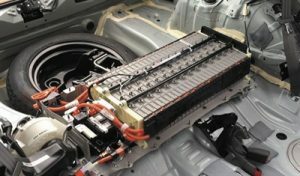 At Grimmer motors we specialize in hybrid and electric vehicle repairs. If you need hybrid and electric vehicle diagnostics or repairs, our talented team of mechanics will be happy to help. Grimmer Motors is happy to do your hybrid and electric vehicle repairs and servicing, including hybrid and electric vehicle diagnostics and battery replacements. For all repairs, services, diagnostic checks and hybrid battery reconditioning and replacements in Hamilton, contact Grimmer Motors today!